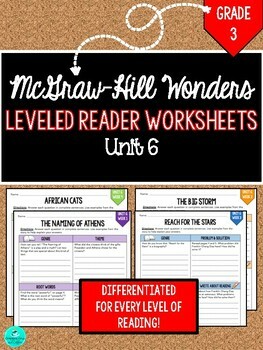 Wonders Leveled Reader Worksheets - GRADE 3 BUNDLE!!! Leveled readers are WONDERFUL additions to Language Arts centers, small group interventions, or even skill support. These worksheets are complementary to the McGraw Hill Wonders reading series for Grade 3, Unit 6. 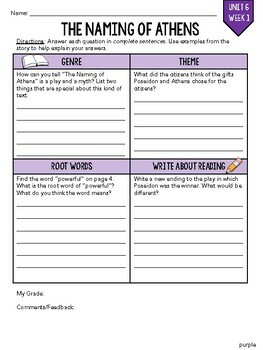 Included in this product you will find differentiated worksheets for each of the four reading levels in the Wonders series. 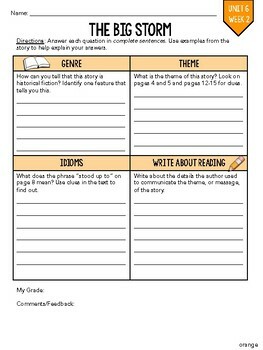 These worksheets address weekly comprehension skills, vocabulary skills, and address the writing expectations needed to succeed on the weekly assessment. 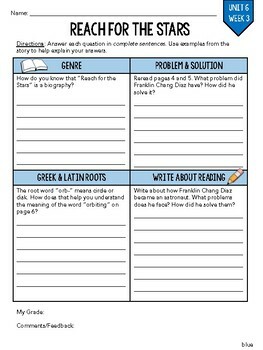 The questions align with the Respond to Reading prompts from the back of the leveled readers and are ready for print-and-go purposes. After downloading, please rate and review this product!